After scoring a shattering hit like Arundathi, the filmmakers have been selecting Anushka for movies that are centred with woman. She has recently impressed with her performance in films like Baahubali: The Beginning and Rudhramadevi. After two movies had a successful box-office run, she is back with her latest movie Size Zero. Size Zero is the most challenging role of Anushka till date. She gained 100 kgs for the movie to fit into the shoes of the character. Anushka played a bulky obessed lady in the movie which has been directed by Prakash Kovelamudi. Arya played the male lead and Sonal Chauhan played the second heroine in the movie. Prakash Raj, Urvashi, Ali and GollapudiMaruthi Rao played the other prominent roles in the film. The movie has been a romantic comedy and Anushka’s character is the major highlight of the movie. 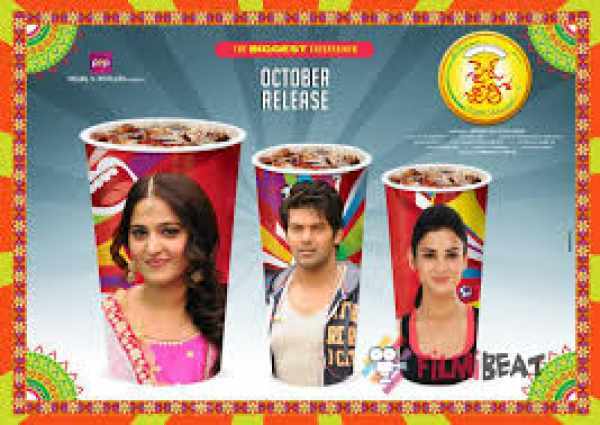 Aiming multiplex audience, the makers have designed and narrated the film with a comic touch and SizeZero opened with decent reviews all over. The movie witnessed huge crowds at the multiplexes and the film collected Rs 24 crores in its opening weekend which has been decent for the budget on which it has been made. The movie dipped badly during the weekdays and could collect Rs 9 crores in the next 4 days. On the whole Size Zero collected Rs 33 crores in its first week. The film has been liked by very few sections off multiplex audience. The movie may have a bad second week and the closing business is expected to be Rs 40 crores all over. Prasad V Potluri produced the film on PVP Cinema banner and the flick has been shot simultaneously in Telugu and Tamil languages. MM Keeravani composed the music and Anushka received decent response for her performance and hard work in the film. Don’t forget to share it with other fans and movie freaks out there on social media like Facebook, Google Plus, Twitter and others. Do share your thoughts and views regarding the flick and its business. See what others have shared below in commenting section below.